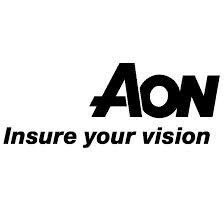 Aon Risk Solutions, the global risk management business of Aon plc (NYSE: AON), today unveiled its 2014 Political Risk Map which identifies an increased risk rating for all five emerging market BRICS countries. As a result, countries representing a large share of global output experienced a broad-based increase in political risk including political violence, government interference and sovereign non-payment risk. Brazil's rating was downgraded; political risks have been increasing from moderate levels as economic weakness has increased the role of the government in the economy. This is of particular concern given this year’s World Cup and the 2016 Olympics. Russia’s rating was downgraded largely due to recent developments with the Ukraine and the annexation of Crimea. Political strains and focus on geopolitical issues have exacerbated an already weak operating environment for business and exchange transfer risks have increased following the risk of new capital controls. Russia’s economy continues to be dominated by the government, so economic policy deadlock has brought growth to a standstill and with it an increase in the risk of political violence. India’s rating was downgraded with legal and regulatory risks elevated by ongoing corruption and moderately high levels of political interference. Territorial disputes, terrorism, and regional and ethnic conflicts also contribute to elevated risks of political violence. China’s rating was downgraded to moderately high. This deterioration in political risk, including an increase in political violence, has occurred at a time of slowing economic growth, which suggests that the economic policy deadlock and economic sluggishness are mutually reinforcing. South Africa’s rating was downgraded; despite having strong political institutions, South Africa is struggling from recurrent strikes, which have become the major means of wage setting, and which weaken the outlook for business and raise financing costs. The map measures political risk in 163 countries and territories, in order to help companies assess and analyse their exposure to exchange transfer, legal and regulatory risk, political interference, political violence, sovereign non-payment and supply chain disruption. 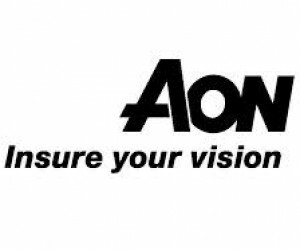 Aon’s long-standing strength in Political Risk management is complemented by partnering with Roubini Global Economics (RGE), an independent, global research firm founded in 2004 by renowned economist Nouriel Roubini, in order to take advantage of RGE’s unique methodology. In early 2013, we identified some improvements in the Caucasus, Armenia and Azerbaijan, which have continued. The rest of the region has weakened. Russia’s rating was downgraded largely due to recent developments with the Ukraine. This volatility is also affecting other former soviet states including Armenia, Belarus, Georgia and Moldova. Ukraine’s position deteriorated throughout 2013, which culminated in a downgrade to High risk in Q3 from Medium High. The annexation of Crimea by Russia, and government collapse was already consistent with a country with a high political risk, but the implications of these developments warranted a further downgrade in political risk – Ukraine is now a Very High risk country. Exchange transfer risks, which are already very high will be further increased by restrictions in the financial system. Further, the willingness and ability of the country to settle its debts may be affected. Meanwhile the weakening of global demand for base metals has hit government revenues and weakened its ability to stimulate the economy. In addition to uncertainty regarding the status of Crimea, Russia’s desire for federalisation in Ukraine, will provide flashpoints. RGE’s baseline assumes that there will be some de-escalation of tensions short of war, but Russia will be likely to continue to de-stabilize eastern Ukraine. The upcoming presidential election will present a source of economic and political uncertainty. Divergence Widening within Middle East and North and West Africa: Developments in 2013 have reinforced the relative strength of the richer oil exporting MENA countries of the Gulf Cooperation Council (GCC). Compare this to their North African peers, all of whom have fewer financial resources with which to manage any shocks, they all continue to have higher risk scores across all elements of political risk tracked by Aon. The three countries upgraded in 2013’s risk map (Bahrain, Oman and UAE), maintained their more resilient and lower risk outlook, while Jordan, where Syrian refugees have exacerbated domestic shocks, was downgraded. Sub-Saharan Africa Divergence: There are some improvements in Sub-Saharan Africa, notably in Ghana and Uganda which offset deterioration in South Africa and Swaziland, which were both downgraded. Although Ghana has fiscal overspending and rising inflation, which is weakening its macroeconomic stability, increases in revenues and investment reinforced its already strong political institutions. Uganda continues to suffer from an overly centralised government and significant human rights issues, the stabilisation of donor finance improved its ability and willingness to pay debts and reduced political interference. By contrast political conditions deteriorated, particularly in Swaziland, which is being supported by its neighbours financially, and suffered a broad-based increase in political risk and economic strain which added to expropriation risk. South Africa, despite having strong political institutions is struggling from recurrent strikes, which have become the major means of wage setting, and which weaken the outlook for business. Exchange Transfer: Economic recovery in developed markets and the beginning of interest rate normalisation has the effect of drawing capital back from emerging markets. This adds pressure to countries with weak external balances. The increase in political risk in some of the larger emerging market countries has weakened long-term capital (FDI) increasing the risk of measures being introduced to retain capital that will impede transfers of funds/repatriation of assets. Sovereign Non-Payment: as fiscal balances weaken and default risks rise, in countries like Ukraine, along with foreign exchange pressure, corporations will see a change in certain sovereigns’ willingness and ability to pay. Aon’s Political Risk Map tracks both and highlights this weakness early. The heavy global election cycle in 2014 could exacerbate political violence, government intervention and policy implementation risk. 16 downgrades (2013: 12 downgrades): Brazil, China, Eritrea, India, Jordan, Kiribati, Micronesia, Moldova, Russia, Samoa, South Africa, Swaziland, Tonga, Tuvalu, Ukraine and Vanuatu. This year’s 22 Country Rating changes compared to 25 in 2013. RGE’s Country Insight scores capture a series of small changes on a quarterly basis, which can give an early warning of changes. Any changes in grade are delivered quarterly and allow the Political Risk Map to highlight deterioration in countries, such as with the Ukraine several quarters in advance. Each country on the map is rated according to the different types of risks it faces. These risks are indicated by the individual icons, with the first six icons driving the overall country rating, and the three new icons included for additional information. Exchange Transfer: The risk of being unable to make hard currency payments as a result of the imposition of local currency controls. This risk looks at various economic factors, including measures of capital account restrictions, the country’s de-facto exchange rate regime and foreign exchange reserves. This Risk Icon has been added to 25 countries and territories, including Namibia, Nepal, and South Africa. This Risk Icon has been removed from 5 countries including Bangladesh, Mongolia, and Uganda. 107 countries have this Icon. Sovereign Non-Payment: The risk of failure of a foreign government or government entity to honour its obligations in connection with loans or other financial commitments. This risk looks at measures of both ability and willingness to pay, including fiscal policy, political risk and rule of law. This Risk Icon has been added to 22 countries and territories including Gabon, Moldova and South Africa. This Risk Icon has been removed from 4 countries, including Belarus, Malawi and Montenegro. 108 countries have this Icon. Political Interference: The risk of host government intervention in the economy or other policy areas that adversely affect overseas business interests; e.g., nationalisation and expropriation. This risk is composed of various measures of social, institutional and regulatory risks. This Risk Icon has been added to 6 countries and territories including India, Mozambique, and Cape Verde. This Risk Icon has been removed from 2 countries: Bangladesh and Benin. 85 countries have this Icon. Supply Chain Disruption: The risk of disruption to the flow of goods and/or services into or out of a country as a result of political, social, economic or environmental instability. From 2013, this includes an assessment of domestic supply chain risk. This Risk Icon has been added to 20 countries and territories, including Bahrain, Macedonia, and Rwanda. This Risk Icon has been removed from 4 countries including Jamaica, Montenegro, and Saudi Arabia. 116 countries have this Icon. Legal and Regulatory: The risk of financial or reputational loss as a result of difficulties in complying with a host country's laws, regulations or codes. This risk comprises measures of government effectiveness, rule of law, wider property rights and regulatory quality. This Risk Icon has been added to 17 countries and territories including Colombia, Morocco, and Peru. This Risk Icon has been removed from 2 countries: Thailand and Zambia. 110 countries have this Icon. Political Violence: The risk of strikes, riots, civil commotions, sabotage, terrorism, malicious damage, war, civil war, rebellion, revolution, insurrection, a hostile act by a belligerent power, mutiny or a coup d'etat. Political violence is quantified using measures of political stability, peacefulness and specific acts of violence. This Risk Icon has been added to 19 countries and territories, including Belize, Indonesia, and Ukraine. This Risk Icon has been removed from 5 countries, including Armenia, Serbia, and Timor Leste. 104 countries have this Icon. Risks to Doing Business: The regulatory obstacles to setting up and operating business in the country, such as excessive procedures, the time and cost of registering a new business, dealing with building permits, trading across borders and getting bank credit with sound business plans. This Risk Icon has been added to 8 countries and territories, including Botswana, Pakistan, and Senegal. This Risk Icon has been removed from 8 countries, including El Salvador, Seychelles, and Zambia. 97 countries have this Icon. Banking Sector Vulnerability: The risk of a country’s domestic banking sector going into crisis or it not being able to support economic growth with adequate credit. This risk comprises measures of the capitalisation and strength of the banking sector, and macro-financial linkages such as total indebtedness, trade performance and labor market rigidity. This Risk Icon has been added to 13 countries and territories, including Botswana, Pakistan, and Senegal. This Risk Icon has been removed from 13 countries, including Barbados, Dominican Republic, and Ghana. 108 countries have this Icon. Risks to Fiscal Stimulus: The risk of the government not being able to stimulate the economy due to lack of fiscal credibility, declining reserves, high debt burden or government inefficiency. This Risk Icon has been added to 12 countries and territories, including Afghanistan, Iran, and Panama. This Risk Icon has been removed from 11 countries, including Burkina Faso, Iraq, and Vietnam. 97 countries have this Icon.